Furious 7 Soundtrack Download Free from YouTube, Vimeo, Vevo, etc. 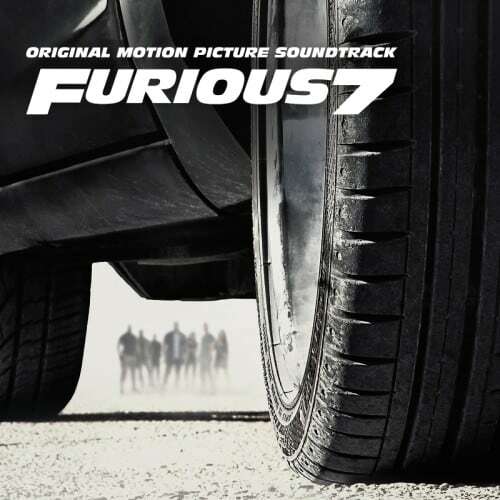 With Fast & Furious 7 snagging the top spot at the box office - over $500 million world wide in less than a week, the Furious 7 soundtrack which features See You Again,Go Hard or Go Home,GDFR reached No.2 on the Billboard 200 list, while hit Fifty Shades of Grey original soundtrack dropped from No.3 to No.9. We've gathered Fast and Furious 7 soundtrack list and Furious 7 soundtrack download guide for you to find the simplest and fastest way to free download Fast and Furious soundtrack, including its greatest gainer See You Again download, from over 300 sites including YouTube, Vevo, Vimeo, Dailymotion, etc. It free downloads Fast and Furious 7 full soundtrack list, be it See You Again, Go Hard or Go Home, Ride Out etc from over 300 sites, YouTube, Vimeo, Dailymotion, to name just a few. Wanna download Furious 7 soundtrack MP4 HD or 4K UHD video or best hollywood bollywood soundtracks regardless of format, say MP4, FLV, AVI, MKV? This free Furious 7 songs downloader will suit all of your needs. Don't forget to use it to download Furious 7 HD movies trailer, episodes, everything about Furious series, Furious 6,5,4,3... other hot blockbusters, Inside Out, Hunger Games 3 Part 2, Star Wars 7, and many more. It is 100% free and clean, no tricks buried, no virus, no malware, no spyware. Step 1: Download Furious 7 soundtrack free downloader and run it. Open Furious 7 songs or full list on YouTube, Vimeo, Dailymotion etc. Copy and paste the track URL to the box frame. Step 2: Choose the Furious 7 soundtrack video format, resolution and file size. Step 3: Specify output folder on your computer to save the free downloaded Furious 7 songs. Step 4: Click "Download Now" to start the Furious 7 soundtrack download process. Tips: You can select "Auto add MP4 to iTunes" to import the downloaded Furious 7 soundtracks into your iPhone 6/Plus, and other Apple devices. It is a Paul Walker's Furious 7 Tribute song. It jumped from No. 84 to No. 10 on Billboard Hot 100 Chart, and has received millions of views since being published on Apr 6, 2015. As a Paul Walker memorial, it is heartfelt, emotional and touching. Sick of online listening to it over and over again? See You Again download for free is available now with the help of soundtrack download free tool. If you are looking for ways to obtain Fast and Furious songs download, think about Go Hard or Go Home. Go Hard or Go Home by Wiz Khalifa featuring Iggy Azalea achieved big success in digital saves with 40,000 downloads during its first week. Kid Ink's Ride Out didn't receive much attention as Furious 7 soundtrack See You Again did. Published on Feb 16, 2015, it has got eight-figure views on YouTube. It is a long way to go for it to become a big hit and achieve great chart success. But if you think that See You Again is not the best memorial of Paul Walker, Ride Out is going to be a nice choice. The advanced version of MacX YouTube Downloader, MacX Video Converter Pro can satiate you various needs in Furious soundtrack download. You can download Furious 7 songs from YouTube to MP3, AAC, iPhone ringtone and many more thanks to its mighty downloading and converting ability. Also, it converts downloaded Furious 7 soundtracks to iPhone XS/XR/X/8/7/6/Plus, Samsung Galaxy S9 and other Apple Android devices effortlessly. Moreover, it enables you get the download of Furious 7 full movie trailer episodes in 1080P, 4K UHD from any sites with original quality reserved owing to its stunning download recording feature. For your information: The Furious 7 DVD version was just released on Sep 15, 2015. If you'd like to make a copy of Furious 7 DVD for the sake of damage or loss, you can rely on MacX DVD Ripper Pro as it automatically choose the rigth title 10 from the copy-protection DVD Furious 7 and rip DVD to MP4, MOV, AVI, etc for any device with ease. Below is Furious 7 Soundtrack full list for you to check out. Find your favorite Furious 7 soundtrack to download.